Dr Sarah Waters is an acclaimed author from Wales whose first novel, Tipping the Velvet, was published in 1998 and won a Betty Trask Award. On Wednesday 13th July Dr Waters was made an Honorary Fellow of Cardiff University for her significant contribution to the arts. We spoke to Dr Sarah Waters just after she had been awarded her Fellowship officially during the Graduation ceremony. She explained that having grown up in West Wales she had always viewed Cardiff as the big city, but noted how different it feels now, “since I was a teenager it feels like it’s got more energy to it and the University seems to be a big part of that”. Becoming an Honorary Fellow for her has been “very exciting”, especially since what she remembered most from her own graduation ceremony was the speech of Honorary Fellow Oliver Postgate, (creator of Bagpuss and the Clangers) so to be in that position herself was “very moving”. Completing her PhD in historical fiction is what led to her writing her first novel, in fact and it influences her still. “I’ve always felt connected to literary studies… and I still feel connected to what’s happening at universities.” Asked why she enjoyed historical fiction so much she said that she got very interested in writers who told stories that people hadn’t heard before, and also the idea of how we can change the way we perceive the past. Would Waters recommend a PhD? “I would!” she laughs, noting that she was very lucky at the time to get funding. Her favourite part was spending time alone working on her thesis, and in a way writing a novel is a very similar process. Personally Waters is currently enjoying the work of Rebecca West, who is well-know for the quote “People call me a feminist whenever I express sentiments that differentiate me from a doormat”. Other authors Waters would particularly recommend include Angela Carter, Daphne du Maurier and Patricia Highsmith, speaking of her enjoyment of clever story tellers. 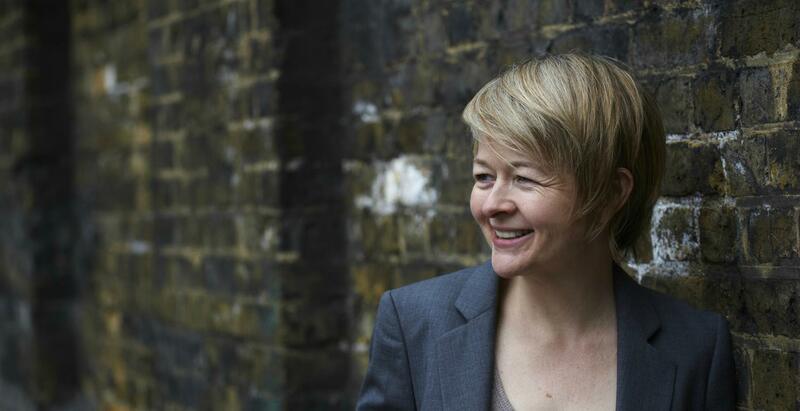 We hope that many people will continue to enjoy the work of Dr Sarah Waters herself, and we hugely enjoyed speaking with her.